The South by Southwest Conference and Festivals has announced the remainder of its 2019 SXSW festival lineup, which will include Paramount Pictures’ “Pet Sematary” as its closing night film. In the Documentary Spotlight section, “I Am Richard Pryor” and “Salvage” have been added. 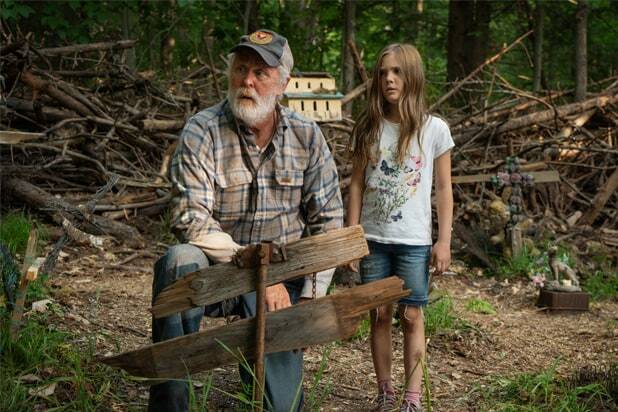 “Pet Sematary” is directed by Kevin Kolsch and Dennis Widmyer and is based on the horror novel by Stephen King. It follows Dr. Louis Creed (Jason Clarke), who, after relocating with his wife and their two young children to rural Maine, discovers a burial ground near their home. He then turns to his neighbor (John Lithgow) which sets of a chain reaction of horrible events. This year, 131 feature films including 101 world premieres, nine North American premieres and three U.S. premieres will debut from 64 first-time filmmakers. SXSW will run from March 9 to March 18 in Austin, Texas. See the new additions below. Showrunner and best-selling author Neil Gaiman is joined by director Douglas Mackinnon and cast including Michael Sheen, David Tennant, and Jon Hamm to give attendees the most in-depth look at “Good Omens” to date and watch never-before-seen exclusive clips from the entire series. The six-episode series coming to Amazon Prime Video is based on the beloved satirical novel “Good Omens: The Nice and Accurate Prophecies of Agnes Nutter, Witch” by Terry Pratchett and Neil Gaiman. “Good Omens” is a dark, comedic story set in modern-day Britain that centers on a fussy angel, Aziraphale (played by Sheen) and the loose-living demon, Crowley (played by Tennant) as they join forces to prevent the coming of the Apocalypse. England’s 2nd most popular sitcom “Right Place, Wrong Tim” is besieged by bloodthirsty killer clones live on air. Starring Asa Butterfield, Ella Purnell & Adam Buxton. “Queering” is a LGBTQ comedy web series that follows Harper, who is ready to live the best phase of her lesbian life until the tables turn when her mom unexpectedly comes out as queer. The accidental invention of an assh— AI spells trouble for a tech startup in the late ’80s. At an unprecedented speed, we are losing our linguistic diversity–and the very means by which we know ourselves. This immersive oratorio is an invocation of the languages that have gone extinct and an incantation of those that are endangered. “Send Me Home” is a 360 portrait of Rickey Jackson, one of the longest-serving exonerees in U.S. history, in his surreal, new life post-prison.